For many, many years, the focus of dental care has seemed to be on the prevention, detection, and treatment of two prevalent conditions: cavities and gum disease. In fact, it would appear that either a cavity or inflammation in the gum tissue that supports teeth has been the cause of most other dental conditions, such as infection in the pulp chamber at the core of a tooth. Until recently, cavities and gum disease did give children and adults a run for their money, so to speak. But now we are facing a new pandemic: enamel erosion. We typically recognize erosion as it pertains to the landscape we may see in our local vicinity. The mountains wear away in the face of the wind and rain and snow. Coastal cliffsides crumble and fall under the impact of constant waves. But the mouth? Yes! Enamel is the outer coating of teeth. This material is stronger than the bones in the body, and yet, it can be made soft by one particular factor: acid. Much of the erosion that dentists see today is attributed to the modern-day diet. People of all ages, even young children, are consuming soda at alarming rates. When concerns arise about sugar (not the real reason behind cavities! ), consumers switch to diet soda or sports drinks. The latter has been pegged for the ultra-fast erosion of developing enamel in children. Sadly, unbeknownst to many parents, the soda-alternatives that are marketed for children are not much lower in acidity than battery acid. Within one week, marked erosion occurs in children who consume such beverages. Return to the natural. Water, we mean. There is no better beverage for oral health than clear, filtered water. A touch of lemon or other fruit can be added for flavor. Don’t let acid sit on your teeth. It is not necessary to brush immediately after meals or after the occasional soda, coffee, or glass of wine. In fact, brushing should wait because acid softens enamel for a short time. To dilute the acidity of the mouth, rinse with water, swishing the liquid over teeth. Build strong bones. Calcium is noted for its bone-supporting capabilities. This mineral also fortifies tooth enamel, so should be a part of the daily dietary intake. Routine dental care is an essential element of good oral health. 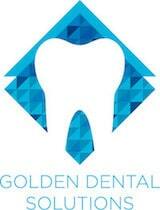 To schedule your checkup and cleaning with your Golden, CO dentist, call (303) 277-9600.